After conquering Sirhind, Banda Singh occupied Saharanpur, Buria, Ambala, Shahbad Markanda, Sadhaura and all areas upto Panipat and beyond. He chose a place called Mukhlisgarh (renamed Lohgarh) in the Shivalik hills of Nahan state as his capitol in 1710. The Khalsa flag was hoisted on the ramparts of Lohgarh fort and a coin was struck in the name of Guru Nanak - Guru Gobind Singh to commemorate the setting up of first Khalsa Raj in Punjab. But this Khalsa glory was short-lived. The Mughal emperor, Bahadur Shah himself led the Mughal army to Sadhaura and attacked the Lohgarh fort. The Khalsa army suffered heavy losses, the fort was destroyed by the Mughal artillery but Banda Singh had a narrow escape and could not be captured alive. The Mughal chronicle writers believed that Banda Singh is a magician who can change his appearance and escape in any garb. There were many rumours in the Mughal army that he can escape as an animal, knows black magic and can disappear in no time. The Khalsa army re-assembled to conquer areas of Jallandhar Doab. He re-captured Lohgarh again in November 1711 and hoisted the Khalsa flag till end of December 1712. In campaign of Lohgarh, some Hindu Rajas of hill states and Rajput Rajas of Rajasthan supported the Mughal army by men and materials. They proved to be traitors to the noble cause of Banda Singh Bahadur. Banda fought for liberation of India but Indian Rajas preferred the slavery of the Mughals! I was highly motivated to visit Lohgarh, the Capitol of first Khalsa Raj in Punjab. My former research scholar, Dr RC Ramola, now Professor in Central University, Tehri Garhwal invited me to deliver a talk at International Conference on Natural Hazards and their Mitigation which was held on June 10-14 at New Tehri. It was a welcome opportunity to get some respite from the oppressive heat of Punjab plains. My wife, Ranjit Virk, agreed to accompany me as I proposed to visit Uttarkashi, Poanta, Dehradun and Lohgarh during this trip by car. It was a long drive of 8 hours from Chandigarh to new Tehri. Come month of June and the Sikhs of Punjab start their pilgrimage to Hem Kunt Sahib in Uttarakhand. On the way, we came across hundreds of Sikh youth on their motor cycles going to Hem Kunt Sahib for annual pilgrimage. We started from Chandigarh at 7 AM on 10th June and reached Poanta Sahib before 10AM. 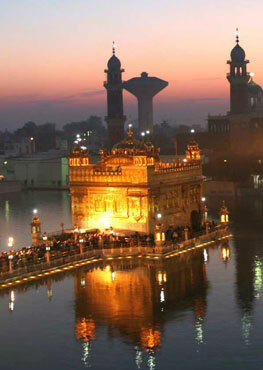 The historical Gurdwara, commemorating the visit of Guru Gobind Singh, is situated on the banks of river Jamuna. After a halt of 30 minutes, we moved on to Dehradun, the capital of Uttarakhand. The famous Panchvati lodge of Dr Balbir Singh and Bhai Vir Singh in Dallanwala locality of Dehradun now belongs to Punjabi University, Patiala. It is a nice cool place with lot of fruit bearing mango and litchi trees. We had our lunch there and moved on to New Tehri in the afternoon. It was a long journey of 105 Km on serpentine roads of lower and upper Himalayas. We reached our destination around 7 PM. We returned to Poanta on 14th June at noon without breaking journey at Dehradun as planned earlier. To get some respite from oppressive heat, we halted in Poanta Sahib Gurdwara and had delicious meals in langar hall adjoining the river bank. I started making enquiries from the local Sewadars how to reach Lohgarh. After getting some preliminary information, we moved on to road leading to Nahan. In between Poanta and Nahan, there is a village Kohlar from where we took the road to Bilaspur. This hilly road is a dangerous drive as it is full of pot holes and mostly a dusty drive on kuccha road. After a journey of about 20 Km. we reached a small hamlet called Bhagwanpura. There is a sign board on the road giving indication of Lohgarh Gurdwara. Passing through narrow streets of Bhagwanpura, it is an uphill task to locate the path to Lohgarh. Asking all passersby on the way, we found a serpentine dusty path criss-crossing the river bed and reaching Gurdwara after a tortuous journey. Lohgarh Gurdwara is under construction. A signboard inside the Gurdwara narrates its history as follows: Salim Shah, son of Sher Shah Suri, constructed a small fort called Pawangarh. Later on, Mukhlis Khan, a chieftain of Mughal emperor, Shah Jahan converted it into his haveli (residence) and named it Mukhlisgarh. Banda Singh Bahadur re-christened it to Lohgarh. I found an old caretaker of the Gurdwara, a Nihang Sikh, who told me that there are no remnants of the old Lohgarh fort anywhere on the hill beyond. The Khalsa flag, however, has been hoisted on the top of the hill. I was wonder struck with the pristine glory of Lohgarh site. It seems nothing has changed during the last 300 years and time has been fossilized in Lohgarh. The Shivalik hills, river bed and the surroundings of Lohgarh have also been fossilized since the times of Banda Singh Bahadur. Lohgarh is a desolate place and modernity has not touched it at all. The Tercentenary Committee has put up a statue of Banda Singh Bahadur on one side of the Gurdwara. We returned from Lohgarh with a heavy heart. I wonder why the Akali Government in Punjab or SGPC failed to erect a proper monument in memory of Banda Singh Bahadur who set up his Capitol of first Khalsa Raj at Lohgarh? End Note: To reach Lohgarh from Delhi, one should reach Yamuna Nagar and proceed to Jagadhari, Bilaspur, Ranjitpura and Bhagwanpura. The route from Chandigarh passes through Naraingarh, Sadhaura, Ranjitpura and Bhagwanpura. It is not advisable to undertake this journey during the rainy season as the only dusty passage through the river bed is washed out and flooded. Dr. Hardev Singh writes on science and religion. 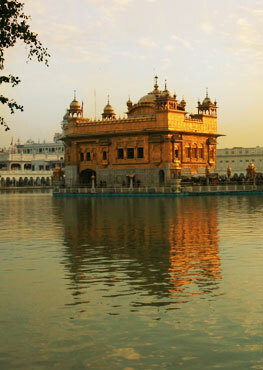 Why Sikhism Fails to Impact at Global Level?